One of the Sinnoh region’s most beautiful and coveted legendary Pokemon has come to GO for the holidays and will be available for almost a whole month! The psychic-type legendary is one of GO’s final Pokemon in the game’s Legendary Year, and will be available in raids until December 18th at 1pm PST/4pm EST. Cresselia is from the Sinnoh region and is part of the “Lunar Duo,” the other half being the menacing and pretty metal if you ask me, Darkrai. Also, she totally looks like Sailor Moon’s Crescent Moon wand, and is a 100% female species. Being a psychic-type, some useful counters include the legendary Mewtwo, Gengar, and the ever-useful Tyranitar. Other psychic, ghost, dark and bug types are pretty handy against her. In other recent Pokemon news, Let’s GO has been slaying the charts, but be careful moving your favorite mons over to the Switch titles. 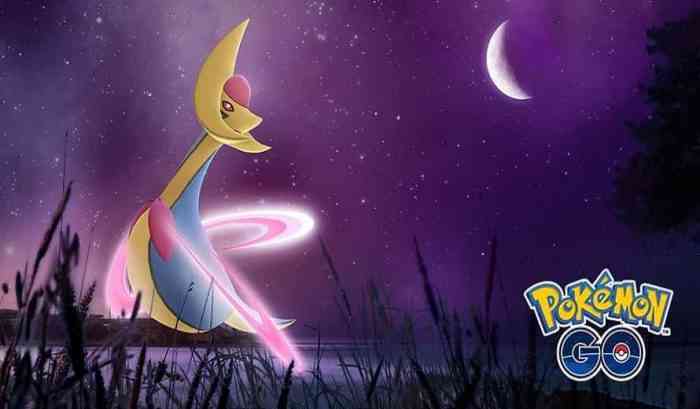 Let us know if you’ll be catching a Cresselia in the comments and keep it locked to COGconnected for all the latest gaming news!